Chicago is also known as "the windy city", and it's advisable to visit the destination in spring or summer. It can be unpleasantly cold and windy in winter – which is when the city also lives up to its other nickname: it is also known as the "City of Jazz". Giants of the music world such as Louis Armstrong greatly shaped "Chicago Jazz". 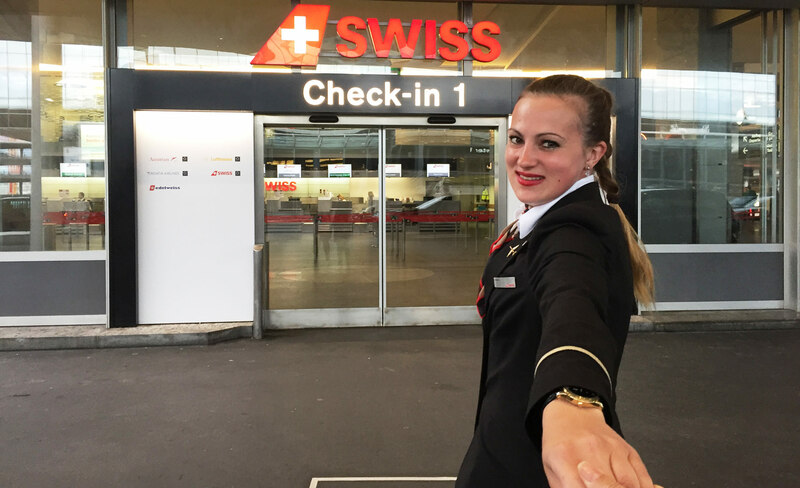 SWISS flies to Chicago (ORD) daily from Zurich (ZRH). What's the best way to start the day in Chicago? With a classic American breakfast! "Eggy’s Diner offers a wide selection of pancakes, omelettes, and much more. The undecided can opt for one of the breakfast combos, which allow you to order a number of items on the menu. Simply brilliant!" A beach in the middle of the high-rise jungle. Where would you find that? In Chicago! "Because Lake Michigan is so vast and covers a number of Federal states, you could easily imagine you're beside the sea." Always worth visiting, as far as Anastasia is concerned: "I love coming here to relax, for a swim and to breathe the fresh air. Fabulous!" Right next to the Oak Street Beach is another bar that is perfect for relaxing. Museum, cinema and Ferris wheel: Navy Pier has everything a tourist could wish for. The pier is about a kilometre long, and as well as being perfect for strolling down is also home to the 47.5 m high Ferris wheel. It's instantly obvious what Anastasia's main reason is for visiting: "The Ferris wheel! It's not only a lovely photo motif, but you also have the most fabulous views of Lake Michigan from the top. Pure holiday feeling!" As a fan of the cult series "The Big Bang Theory", a visit to the Cheesecake Factory is virtually obligatory for Anastasia. "Although you won't meet Penny, Sheldon or Howard, you will find calorie bombs both large and small." The restaurant serves hot food as well as countless cheesecake creations. Anastasia's tip: "The American Cheeseburger. It's served either with fries or a mixed salad." But be warned! "If you think you'll be able to manage a burger first and then a slice of cheesecake, you'll quickly realise your mistake. Unless you want to burst, you'd better choose your priorities along with your meal." Anastasia has been beside and above the water, and now it's time to go onto it. To be precise, onto the 251-km Chicago River. "Unless you suffer from seasickness, you really should book a boat tour around the Chicago River." Highly recommended at sunset: "The views of the Chicago skyline are simply unforgettable." For dinner, the watchword at the Sweetwater Tavern and Grille is think big rather than small. "Burgers, chicken wings – and smaller starters such as tomato and mozzarella pita or chicken rolls are on the menu here, and they're unbelievably delicious!" It's also the perfect spot for those who like an aperitif with their food: "It also has a tremendous selection of different beers and cocktails. My tip: the cranberry and mint cocktail." The perfect end to such an adventurous day is really impressive. In fact, it heads up to the sky! To 344 metres, to be precise. The John Hancock Center has 100 floors. Anastasia recommends a visit to the Signature Lounge, either by day or by night. It's not the cheapest place in town, but it's well worth it: "Enjoy a delicious drink as you admire the fabulous views. What could be better?